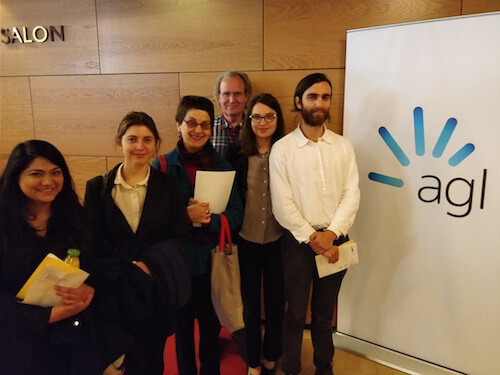 At AGL’s annual general meeting (AGM) today in Melbourne, 126 shareholders, collectively holding a position in the company worth $5.4 million, delivered a statement, supporting the board’s decision to close its Liddell coal power station in 2022. The shareholders asked that the board reaffirm these plans, a move that was clearly popular amongst those in attendance, as the statement was met with enthusiastic applause. Click here to read the shareholder statement in full. Liddell has recently been at the centre of the fractious energy debate, with Prime Minister, his government and coal industry representatives pressuring AGL to extend the life of Australia’s oldest and most emissions-intensive coal power station. The fact that AGL, Australia’s biggest carbon polluter, is being made to look like a climate hero highlights the ridiculous state of energy policy in Australia at the moment. Far from giving in to the pressure, shareholders noted that to align the company’s business model with the objectives of the Paris Climate Accord, it should be looking to “get out of coal” much sooner than the middle of the century. CEO Andy Vesey reiterated the company’s plans to close Liddell, and both he and Chairman Jeremy Maycock noted that the costs of keeping the station running beyond 2022 would be extensive. Vesey also explained that the company intends to replace Liddell’s capacity with a mix of new gas and renewables generation, battery storage and upgrades to existing infrastructure. Worryingly, these plans include up to 750MW of new gas-fired generation, which would lock in decades of greenhouse gas emissions. Unlike Liddell, AGL doesn’t plan to close its dirty Loy Yang A coal power plant in Victoria’s La Trobe Valley until 2048. When questioned on this date and it’s alignment with the goals of the Paris Agreement, Vesey noted that technological and regulatory developments could drive an earlier closure, but the decision would be made with shareholder value front of mind. Clearly climate concerns aren’t quite as paramount as AGL’s marketing would have us believe. Perhaps the best indication of AGL’s position on the future of power generation in Australia was demonstrated in the board’s response to one shareholder’s advocacy for new build coal power stations. Maycock and Vesey both stated that investment in new coal power infrastructure would be uneconomic, with the cost of renewable energy generation falling sharply. When Australia’s biggest climate polluter is actually making more sense in the energy debate than our government, there is something seriously wrong. 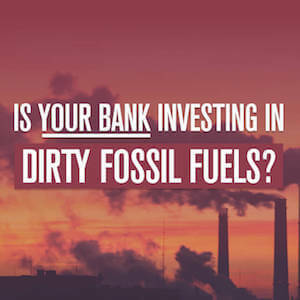 Take action - tell the big banks to resist government pressure and rule out finance to extend dirty power!